You are here: Home / Food / Who Doesn’t Like Meatloaf? Looks good – I might try a veggie version! Yes, I know what you mean about beets – I used to eat dirt when I was a toddler, so maybe that’s why I quite like the taste! Might have to try the golden beets as, although I don’t dislike them, red ones do taste a bit earthy. I shall have to give your recipe a try and personally I absolutely adore beets. Raw in salads or added to tagines are my favourite ways of the eating them at the moment. 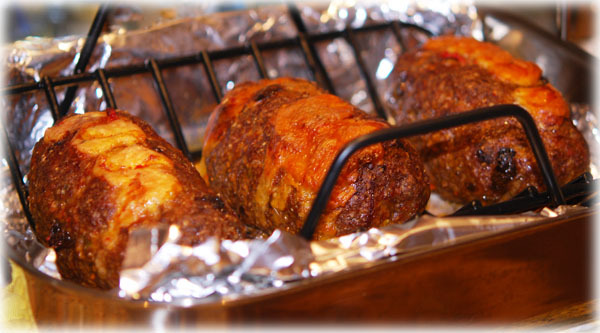 Meatloaf looks brill – love that its called Awesome Meatloaf! I shall have a bash at this over my Easter holiday – only 4 more days to go till the end of term! Can’t wait!!! Never had meatloaf, but you pic looks amazing, so maybe I’ll have to give it a go! That looks delicious and love meatloaf too, plus dirt never did anyone any harm. Hmmmm ! that seems so delicious !!!! My husban loves meatlosf so you have made his day!